Tyler Perry has been one of the most successful men in Hollywood for years as he’s been at the head of so many rewarding franchises. Of course, the most notable series he’s taken over is the one revolving on a character he created called Madea. She’s been welcome in so many of our homes as the subject of over ten films but all good things must come to an end. Her first appearance on the big screen was in 2005 and Tyler Perry recently revealed that he would be killing the Madea character next year. During an interview on Sirius XM radio, the actor, director, producer, and everything in between said that Madea would be waving goodbye to all her fans in 2019. Perry told the interviewer that he filmed her Funeral film two years ago, and he’s finally ready to say goodbye to the character. 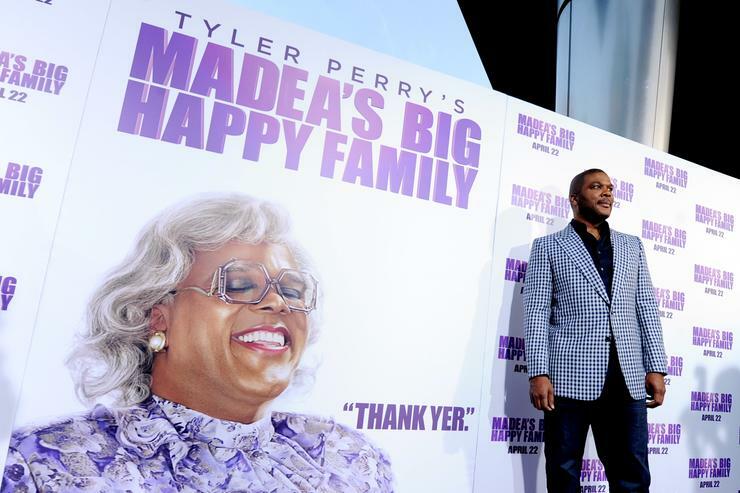 In his words, “I just don’t want to be her age playing her.” In 2019, it will officially be twenty years since Perry began playing dress-up as Madea on stage. For many, it will be difficult to say goodbye to the character. Hopefully, your auntie isn’t too upset about this news. The final film in Madea’s franchise will premiere next year.